We just took home TWO Quills Awards! 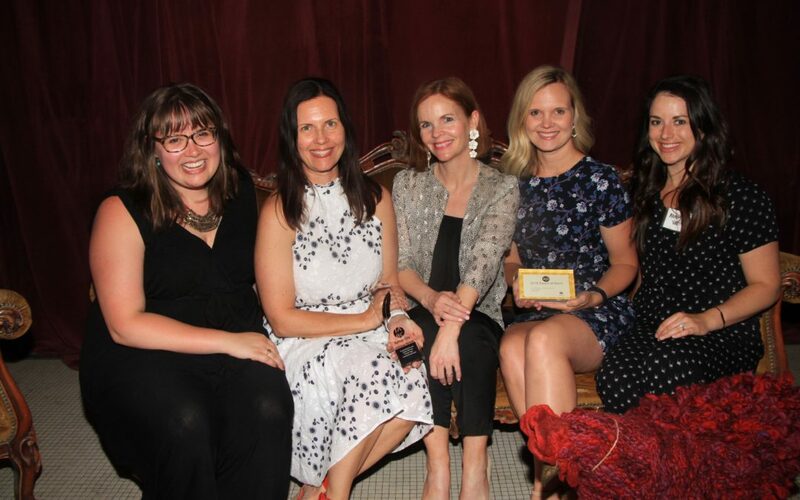 Last Thursday, we gathered the girls for a night at the Quills Awards. We are honored to have won TWO awards! The Quills are hosted by the Kansas City chapter of the IABC. Awards are based on a points system, entries are graded on a rubric and then winners earn awards by getting a certain number of points. This really shows how much your work can shine regardless of the competition. It’s truly an analysis of your work on its own. And an honor to receive! We won a Merit Award for our work on the Growing Days website, a comprehensive website we concepted, designed and built for DIY Network “Bargain Mansions” star Tamara Day and her brand. The site is beautiful and colorful and we are so happy it won! The website is really beautiful and functional to navigate as well. I love the use of a large amount of photography to display Tamara’s aesthetic. The finished product ties in well to the audience and messages outlined in the work plan. We won a Quill Award for the 2017 Waldo Fall Festival. The statistics for the Waldo Fall Festival were astounding. It’s one of Waldo’s best events of the year and we were able to engage our social media audience throughout the event, promoting Waldo businesses and its family-friendly atmosphere. Your work plan was clear in the event goal and social media objectives. Social media results were impressive, with a strong increase in engagements and followers…Loved the poster and concept! Your message is clear, and you primarily promoted the event in a way that is excellent for the younger target audience you are trying to reach. Your social media efforts were clearly well-planned and successful, with a phenomenal increase in engagement across all sites. Wow!